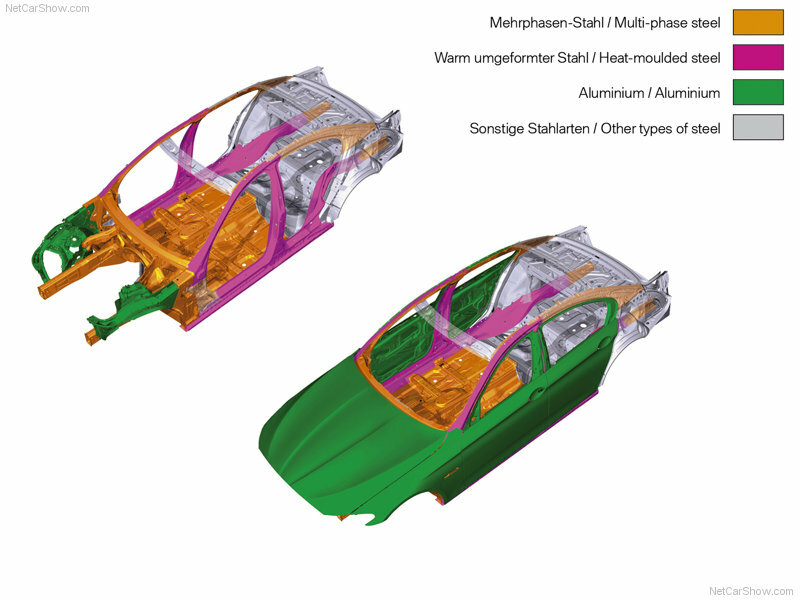 The 2011 BMW 5-Series body structure is an extremely stiff passenger cell with intelligent use of high-strength multi-phase steel and hot-moulded ultra-high-strength steel. The A and B-pillars are made from hot stamped UHSS. This would lead me to believe that there is some Boron in there. The rear roof reinforcement and C-pillar is made from dual phase steel. An interesting side not on DP or Dual Phase steel. Ron Moore from Firehouse.com told me that there is small DP steel that is being developed that will actually get stronger when we draw the metal toward the notch of our cutters. Just something else to keep in the back of your mind.